Our veg boxes are 100% organic and usually contain potatoes, onions and carrots plus 4-5 seasonal salad and vegetable items— harvested on the day of delivery where possible. 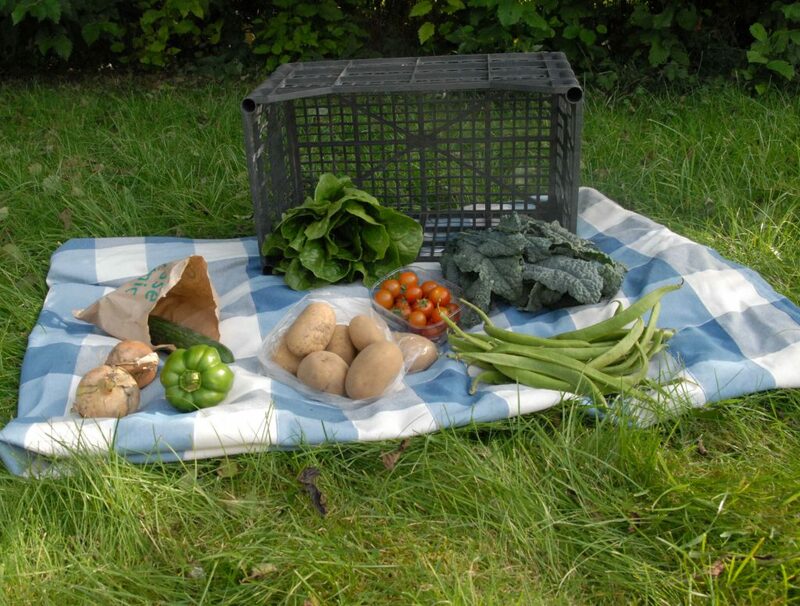 We deliver our veg boxes in the Thanet and Deal areas on Thursday or Friday evenings. Our boxes cost only £7.00 including delivery, with larger family size boxes costing £8.50. You can add organic eggs to your delivery for £1.50 per half dozen. Copyright © 2019 Wingham Country Market.